Ukraine is in talks to import scarce anthracite coal from foreign countries, Minister of Energy and Coal Industry of Ukraine Volodymyr Demchyshyn said at a press briefing on Monday. "Negotiations are ongoing regarding import of anthracite coal from abroad, we have decided to engage the company Ukrinterenergo in this process," Demchyshyn said. 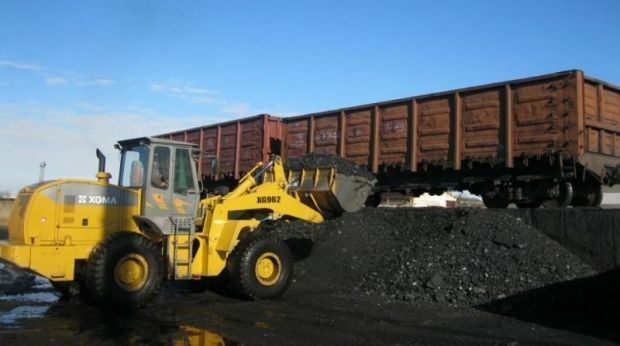 According to him, at the same time, the Ukrainian authorities will continue taking deliveries of coal extracted from mines located in the occupied territories in the east of the country. Demchyshyn noted that before the start of the next heating season, Ukrainian thermal power plants had to stockpile about 2.5 million tonnes of coal, of which one million is anthracite coal. The minister also informed that currently the coal stockpiles at the plants amount to 1.5 million tonnes, of which the lion’s share is gas coal. In May, 270,000 tonnes of coal were delivered to thermal power plants, including more than 100,000 tonnes of anthracite coal.